The Runner | UBC Researchers Develop Educational Video Game about Delta, B.C. UBC Researchers Develop Educational Video Game about Delta, B.C. Released by researchers from Collaborative for Advanced Landscape Planning at UBC, Future Delta 2.0 explores the effects that climate change could potentially have on the Metro Vancouver suburb. LaValle has been a member of the Future Delta 2.0 team for the past five years, first as a student and now as a research scientist and project manager. In the beginning of the game, the player is given a choice to explore North Delta, Boundary Bay, River Road, Ladner, or the Westham Island. Each of these landscapes offer unique challenges in combating and preventing climate change. 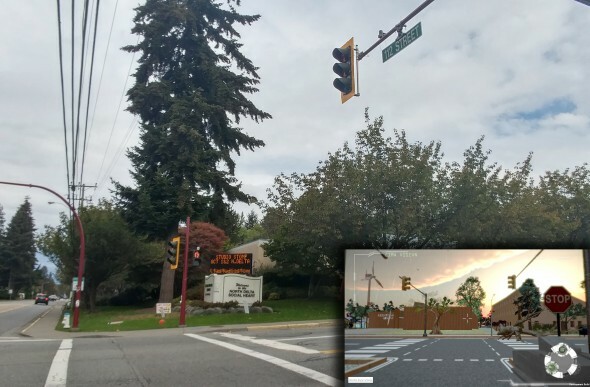 “You have the [Fraser] River, an industrial court, then you have Burns Bog, then you have the Vancouver Municipal Landfill, so it’s just a lot of really interesting elements in developing a game there,” says LaValle. The game starts off in the year 2100 with the player talking to an old friend from Mangalore, India about climate change devastation. It is learned that the friend has invented time travel and the player is sent back to the year 2015 to reduce the impact of climate change. As the player explores the area, they are faced with challenges to either adapt to the problem or promote better choices. The ultimate goal of the game is to create a low carbon future, as opposed to the post-apocalyptic world shown at the start of the game. Inspiration for the game stems from a decade-long relationship between the Corporation of Delta and CALP. Together they produce visualization work and create immersive, interactive models for people to see and understand the science behind a given topic. In this case, that topic is climate change. “We started working with video gaming and youth, given that that is the generation that will be most affected and will also be the decision makers of tomorrow,” says LaValle. Future Delta 2.0 made it to the BETA stage and is available on their website for anyone to download. The game was also tested and evaluated by Delta School District teachers and students from grades 10 – 12. The team has recently received two small grants to further their project and are in the early stages of developing a teacher’s toolkit and handbook, as well as ways to expand into larger audiences. CALP does have one local partner—a Vancouver-based mobile platform and game development company called QuestUpon—that has expressed interest in working on the project. The team behind Future Delta 2.0 will be hosting seminars and workshops on Oct. 13 and 14 to help promote their project, educational gaming, teaching, and climate change. “Maybe if we can work with youth and work with schools, we can find a different way to influence policy,” says LaValle.